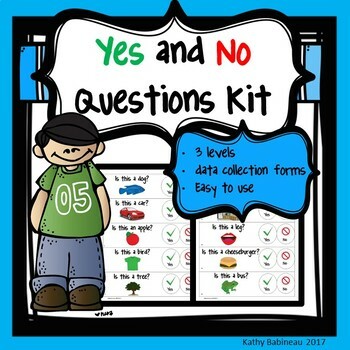 This Yes/No Questions Kit contains a variety of materials and a systematic way to target and track progress on answering yes and no questions. Many of my students with significant language disorders and children with autism have difficulty answering yes/no questions. There are multiple levels to the kit, so you really get a lot of "bang for your buck." Check out the details further on the product page. 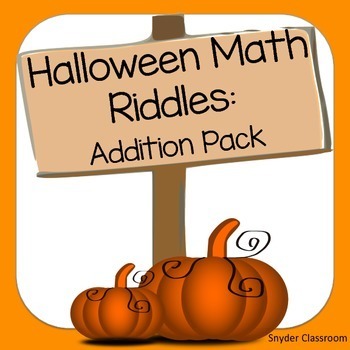 This Autumn / Fall and Halloween resource helps students master counting forward from a given number instead of beginning from 1, and counting to 50. These are building blocks for counting to 100 in kindergarten or counting to 120 in first grade. 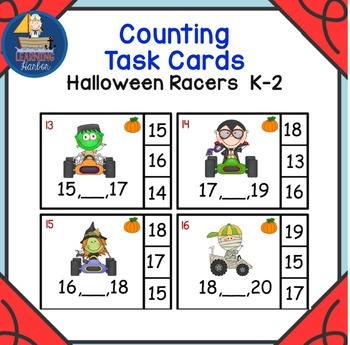 Differentiation is easy with the two sets of clip cards / task cards, the easier cards are marked with a pumpkin icon and the more difficult cards are marked with a leaf. There's a preview/trial available, with information on the product page, so take a look there; I'm sure you won't be disappointed! This cultural lesson on " Columbus and the Spanish Crown" is the perfect activity to celebrate Columbus Day in your classroom. It describes the meeting of Columbus and Queen Isabella I of Castile and Ferdinand II of Aragon in the Alcázar in Córdoba. It also talks about the five week voyage across the Atlantic and the discovery of a "flock of birds" that guided them to land in the island named "San Salvador " by Columbus. 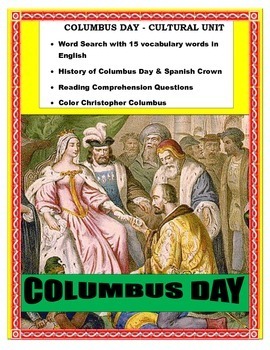 Finally it describes how "Columbus Day" became a federal Holiday in Unites States. Very appropriate for Hispanic Heritage Month lessons Great SUB plan for October. Overall, this is just an awesome short passage for reading comprehension including questions! 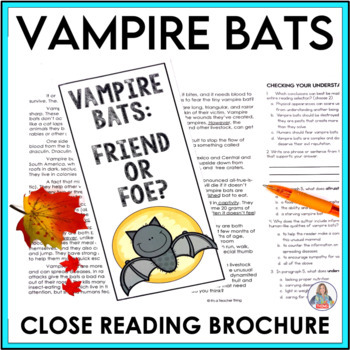 The Close Reading Vampire Bats Brochure is high-interest reading with text-dependent questions and text-dependent writing. 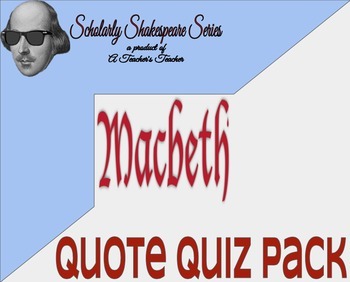 Perfect for seasonal reading and your sub-tub, this 10-page product offers differentiated reading options, close reading bookmarks, cover options, and keys. 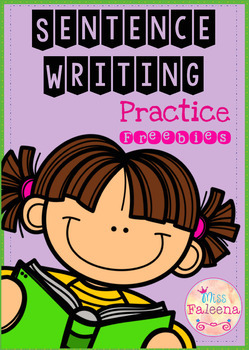 These sentence writing pages are great for kindergarten and first graders. Children will practice writing the correct sentences. Children are encouraged to use thinking skills while improving their comprehension and writing skills. These pages are great for morning work, word work and literacy centers.